Manual work such as carpentry, whether professionally or as a hobby, can be immensely rewarding. Yet, it can also be messy and at times even dangerous. There is a way to keep yourself cleaner and safer during these man-shed times. 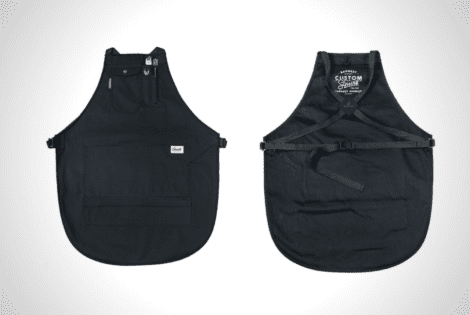 The answer is the Ernest Squire Kevlar Apron.